Too often when we talk about being frugal, the easy answer is to find things to cut back on. When I was trying to pay off my student loans, I started by cutting back. But eventually, like a diet, you reach a breaking point. I couldn’t change my rent for at least another year, I didn’t want to lower how much I was paying on my student loans and I didn’t want to live on macaroni and cheese. In Confessions of a Shopaholic the main character’s father reminds her that cutting back isn’t the only way she can get out of her money troubles. “You know, there are two solutions to money troubles…Cut Back,” says my dad, “Or Make More Money. One or the other.” The good part of making more money is that there’s no limit. When you try to cut back, eventually you’ll reach a wall. And when you’re trying to save, it can be frustrating to feel like there’s nothing more you can do. When you’ve taken away most of your luxuries, cutting back even more can feel self-defeating. This is one method I used to pay off $28,000 worth of student loans. Lots of banks and credit cards offer bonuses if you do direct deposit or spend a certain amount within 90 days. The first year I did this, I made about $1,000. My personal favorite is Capital One 360. There are tons of websites where you can learn about the latest deals. I paid for a new set of tires with the money from a few bank bonuses and used the rest to put toward my loans. It requires some organization to make sure you do enough to get the bonus. But if your HR department is willing to change your direct deposit, it’s a great way to get an extra $100. Whatever you’re talented in, use it and teach someone else. You can contact your local college about tutoring opportunities or reach out to adults you know about teaching their kids math on the side. For some parents, this can be a combination tutoring and babysitting gig, but you can command much higher pay. Try advertising with local mommy groups and blogs. Even asking people to share your info on social media can net you a few clients. If you do a good job, you can make it a steady gig and rely on word-of-mouth to grow your business and raise your rates. There’s a reason why Lyft and Uber are so popular nowadays. These taxi services are easy to use, but they’re also a good job for drivers. There are certain requirements you have to meet to be a driver, but doing it at high-traffic times can be a real moneymaker. There are plenty of stories of drivers who make five or six figures. Even if you’re just looking for an extra $500 a month, driving a few hours a week at the right time can be enough to reach your goal. The good part about this tactic is that it’ll likely help you get better in your career. It can give you a different perspective on your job, inspire you with new ideas and round out your experience. It’ll let you improve faster and move up in your company. Plus, it’s your best way to charge the most out of any other side hustle. Don’t forget to shop through Ebates when buying online. You can receive hundreds of dollars cash back, plus they have access to numerous coupons. Lastly, check out my favorite way to earn extra money: renting out my guest room on Airbnb. Ooh super helpful! I need to make more money! Thanks Becca! I hope these tips work for you. Great suggestions! But cut back for me, right now. At the end of next month we are going to home remodeling. Our roof terrace is becoming an extra bedroom. We already saved a lot, but it always costs more than you had expected. Budgeting is so important! When your finances are tight, it’s so important to keep track of your money. One thing that is great for me is that I’m pretty skilled with fitness classes, so I teach some on the side. It makes me money, enough so I don’t have to dig into my regular income for things I want. But some of these are great. I need to employ some of these to finish paying off my student loans. That is the WORST debt I feel like! Student loans are the worst! 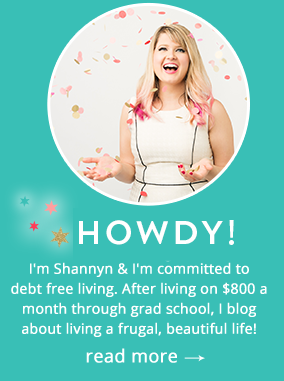 I finally paid off mine in November – $28,000 in 3 years! You can definitely do it. Teaching on the side is a great way to earn more money, plus you’re keeping fit! I’ve always thought about bank bonuses as a way of earning extra cash! I guess I’m just not very trusting of my own abilities to keep track of all the different accounts I would open up. Spreadsheets really help! 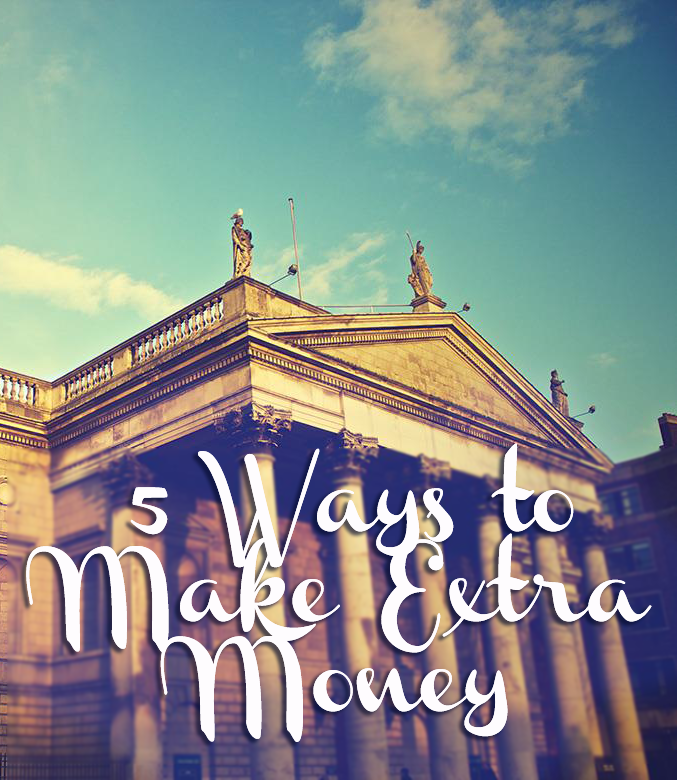 For banks, most of the time you just have to set up direct deposit and keep them open for 6 months or so. If you keep the info organized, it’s not a huge time commitment. Plus you can always call customer service and ask the terms of the bonus on your account. Good article, I think it’s good to have a second job. It keeps you busy and the extra income comes in handy. I have worked two jobs most of my life. Thanks for posting great content, love your site!